The Wolf of Wall Street, I can already tell, is never going to get its proper discussion. Whenever someone says anything bad about the movie, it’ll concern its vulgarity, its garishness, maybe its running time—not the actual content of it. 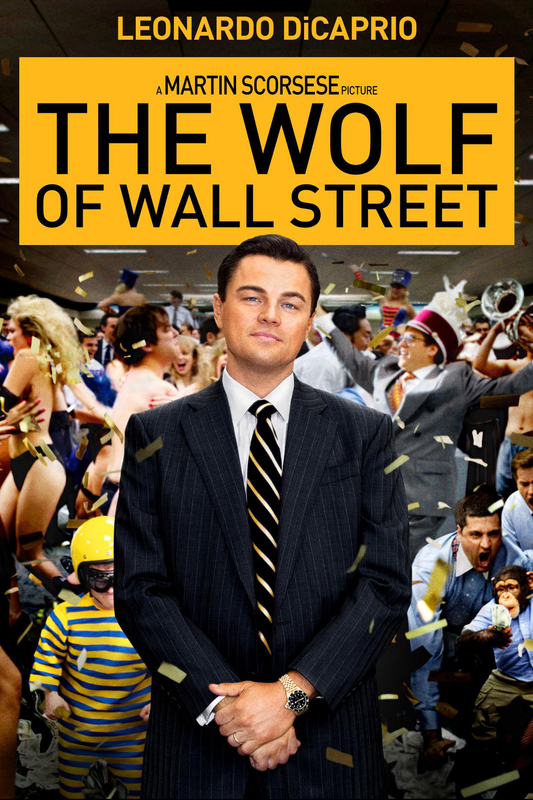 And that’s a shame, because Wolf—based on a memoir from Jordan Belfort, a stockbroker who made obscene sums of money, spent it obscenely, and crashed down obscenely in the 90s—could have provided an interesting lesson if we actually dug into it. And that lesson is: there’s no story here. Oh, director Martin Scorsese, writer Terence Winter, and star Leonardo DiCaprio sure seem to think there is—why else would it be 3 hours long? Yet for all of the raunchiness and absurdity and craziness here, the film ultimately fails because there’s insufficient material to sustain a movie. Wolf should have been a one-hour, over-and-done-with Dateline special—‘Oh, look, this guy was wild and crazy and then went to jail.’ Instead, it’s an incredibly thin, repetitive movie that spends all of its juicy, raunchy allowance in futile search of dramatic tension or anything resembling a dynamic plot. When this project was announced, I worried about familiarity, and Wolf does little to dispel that fear. It’s shocking, in fact, the extent to which it’s a litany of cliches: a rock star who burns bright and fast, drug addictions, reckless henchmen, people dangled off the edge of tall buildings, money hidden in Swiss banks, objectified female roles. The story beats could have been called ahead of time, and so many characters exist merely as types. And you’re not going to believe this—seriously, I hope you’re sitting down—but the bad boy’s wife eventually gets fed up with his womanizing. Whenever the movie needs something to do—which is often—it reverts back to its pattern of ‘Jordan makes money-Jordan parties-Jordan makes money-Jordan parties.’ There’s some amusement in this, but the lack of dramatic conflict puts a damper on everything. The “battle” with the FBI is hilariously underwhelming—Chandler has only one notable scene—and not meant to provoke any sort of tension or sense of impending doom. Nobody serves as a dramatic foil for Jordan. He’s the center of the movie’s galaxy, and, frankly, he’s not interesting enough for that. Yet, the movie ultimately sinks because Jordan is one of the least interesting protagonists you’ve seen on screen lately. There is not a single, solitary compelling trait about him. Why does he want to be so successful? What does he care about (besides hedonism)? What drives him? What are his contradictions? If you met him at a party, what would you talk about after you covered all his toys? Due to the dearth of compelling details, Wolf becomes repetitive, and that fact dulls its impact. When Jordan can’t drive his car while under the influence of too many Quaaludes, it’s pretty funny—but it would have been a lot funnier if we hadn’t already seen him try to pilot his helicopter while altered an hour before. Similarly, the ‘unreliable narration’ technique is interesting once or twice but eventually becomes tiresome. In addition, the vignette-heavy plot precludes the movie from ever building to anything, making a point, or shading its characters more deeply than how you initially see them. It relegates Kyle Chandler to the background, yet gives significant subplot-time to an irritating beef between Jonah Hill and another member of the entourage. There’s a seemingly important action late in the film involving a handwritten note that appears meaningful—and yet, has no impact whatsoever on the resolution. The movie was delayed from its original November release and almost missed the Oscar’s year-end deadline, and, sadly, that’s apparent. You can tell in the micro details, such as the disjointed cuts, and with the fact that nearly every scene goes on too long. Other moments just feel ‘off,’ such as the scene on Jordan’s boat with the FBI agents—the placement of the silent agent behind Jordan is meant to be ominous, I think, but it doesn’t play right. DiCaprio does what he can, trying to combine his free-wheeling spirit with gravitas; he succeeds well enough, but the blandness of his character make it hard for him to resonate too strongly. In fact, given how famously picky he is about his roles, I wonder what could have compelled him to take this role, aside from Scorsese’s involvement. But this is such a misguided movie. Right from the outset, Jordan’s voice-over narration tells, tells, tells us everything we need, without a whole lot of showing. He breaks it all down: ‘I made a ton of money, I took every drug imaginable, and the FBI was after me.’ Scorsese loves himself some voice-over (I can’t recall many movies with more than Casino), but here it makes for a strangely sterile opening to a film that’s supposed to be so involving. If there aren’t going to be interesting nuances to that tale, if we aren’t going to care about the characters involved or be swept up in the plot—well, then, once he spells it out in the first ten minutes, you’ve basically gotten all you need out of this. 2 stars seems about right… maybe 2.5. It’s definitely a failure on narrative level — I challenge anyone to actually think through the plot and say with a straight face that it’s not horribly repetitive. But I want to highlight what you said: “Scorsese, as he showed with The Departed, has that intangible gift of making a flawed movie skip along briskly” This movie is really visually engaging with a handful of great scenes. All in all, I almost completely agree with this review.